Croatian Athletic Federation hosted a Balkan event for the first time since their affiliation to ABAF in 2011. It was held in the city of Vrbovec, 40 km east from the capital Zagreb. 10 Balkan countries took part in the event. Turkey collected the greatest number of titles with 3 Individual and 5 Team Gold medals, 5 Individual and 1 Team Silver and 2 Individual Bronze medals. Hasan Pak (TUR) won the senior men’s race in 31:17 followed by his team mate Seref Dirli and Romanian Marius Viorel Ionescu. The senior women’s race was very close with Romanian Ancuta Bobocel finishing first in 27:42 chased by Sonja Stolic (SRB), 27:49 and Cristina Negru (ROU), 27:55. In the U23 races the gold medals went to Dino Bosnjak from the hosting country and Slovenian Marusa Mismas. 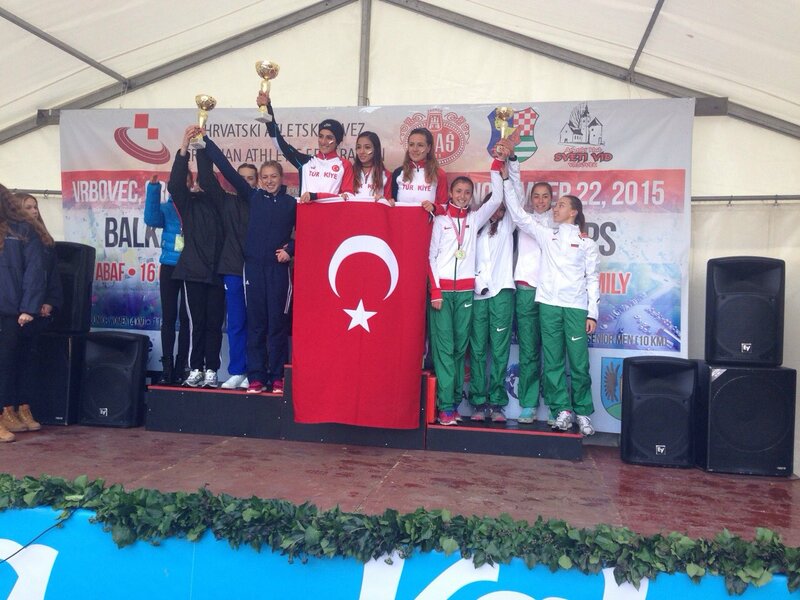 Turkish athletes dominated over the junior races. Ramazan Barbaros and Semra Karaslan were Junior male and female champions while Onur Aras and Yayla Kilic took the silver medals respectively. Dorin Andrei RUSU (ROU) and Dilyana Minkina (BUL) finished third. Croatian Athletic Federation had it’s athletics Gala a couple of days before the competition in Krasograd under the auspices of the President of the Republic Kolinda Grabar-Kitarovic. Sandra Perkovic, DT and Ivan Horvath , PV were awarded best Croatian Athletes of the Year. The best coaches and staff also received prises and the candidates for the Olympic Games next year in Rio de Janeiro were presented. It was 25 years since the organisation of the European Championships in Split in 1990. ABAF President Dobromir Karamarinov attended the Gala and gave the prize for Return of the year to Blanka Vlasic.